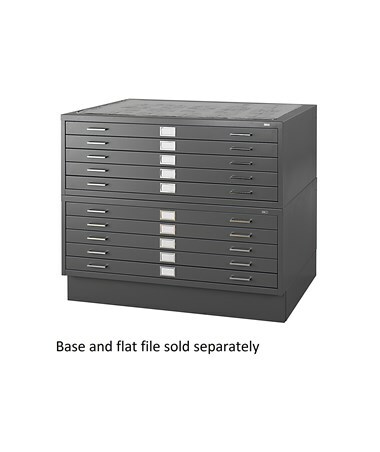 The Safco 5-Drawer Steel Flat File is a large-sized flat file storage unit that perfectly keeps important documents wrinkle-free and accessible. 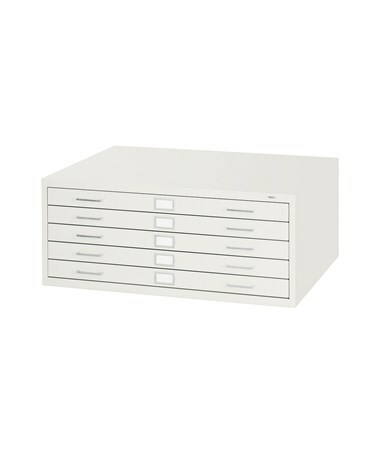 It has five 2-1/8 inches deep drawers that can hold up to 500 active, 750 semi-active, or 1,000 inactive sheets. Each drawer comes with case-hardened ball-bearing rollers and a rear hood and hinged front depressor for an easy and quiet operation. It has positive closures and courtesy stops and also included are chrome label holders. 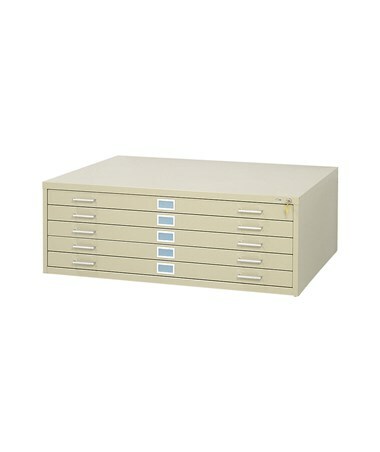 Each unit can be stacked up to two units on high base and five units on closed base. 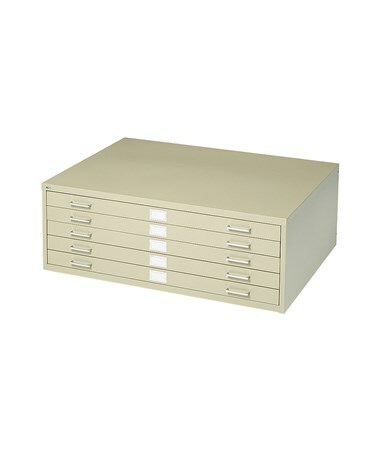 This flat file is made of steel with a powder coat finish. 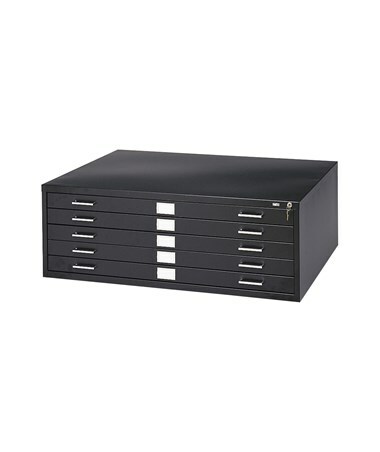 It is built for construction documents, design firms, engineering and more. 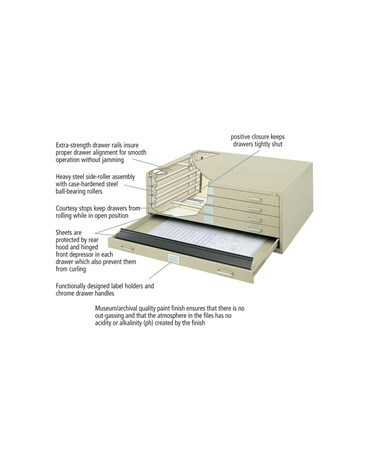 It is also GREENGUARD certified which assures that it is safe for indoor use and does not emit harmful chemicals. 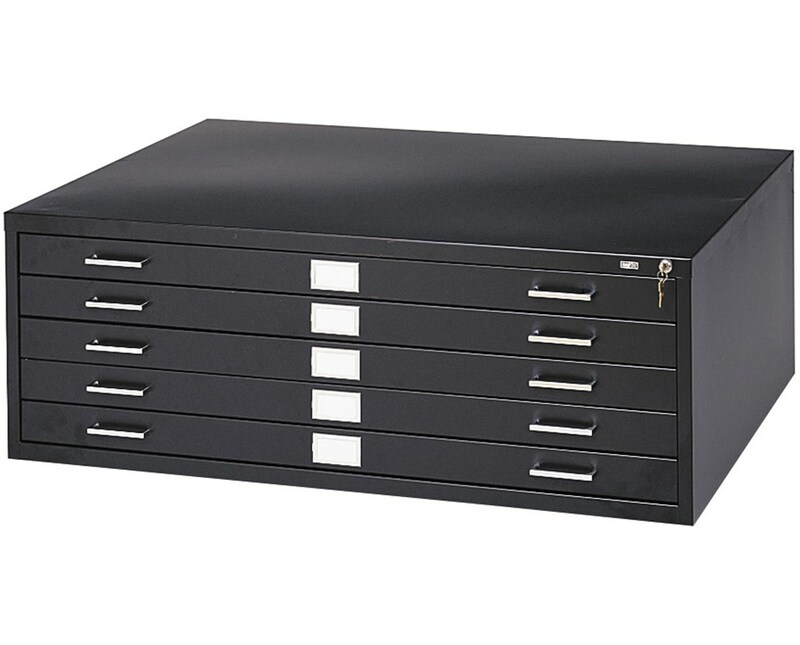 This storage unit can also be locked using the optional lock kits which are sold separately and includes one lock and two keys. 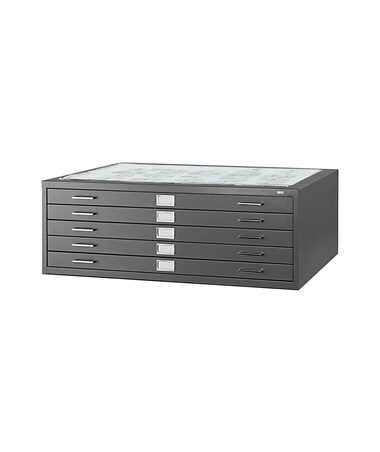 The Safco 5-Drawer Steel Flat File is available in different sizes and colors. Please select your preference from the drop-down menus above.